I was blogging and EC dropping while watching tv when I heard Mel Tiangco ended her news program with a countdown to Christmas. I didn't realize until after I heard from her that it's actually only 85 days more to go before Christmas. 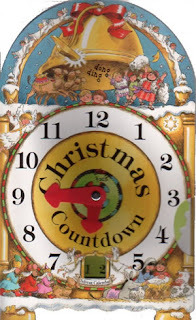 Well, there's still a little over two months from now but part of our culture is to kinda feel the spirit of Christmas by playing Christmas songs in the shopping malls and doing countdowns in tv shows as early as the month of September. Oh boy, how I miss Pinas especially during this season!